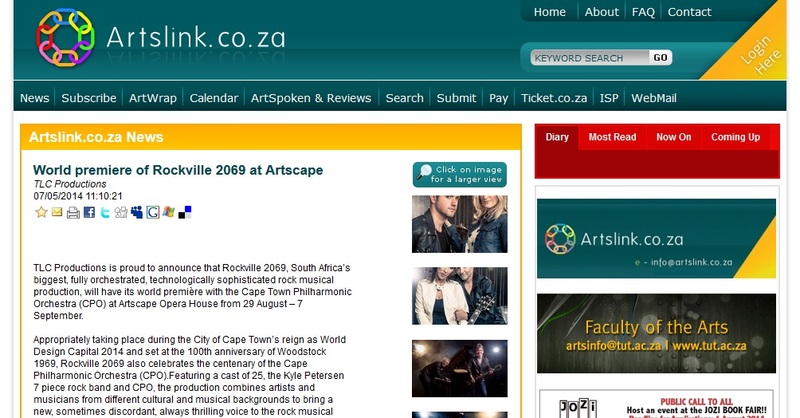 We are proud to be featured on Artslink.co.za, one of South Africa’s biggest and most well-known art networks. 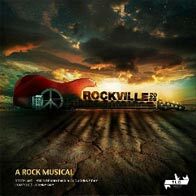 Rockville 2069, South Africa’s biggest, fully orchestrated, technologically sophisticated rock musical production, will have its world première with the Cape Town Philharmonic Orchestra (CPO) at Artscape Opera House from 29 August – 7 September. Read the full story and see production pictures on Artslink. Bookings can be made via Computicket or contact ARTSCAPE DIAL-A-SEAT ON 021 421-7695 to get your very affordable ticket (between R100 to R290). A 10% discount is also available for groups of 10 or more.